In today’s show I share a few quick tips for not being overwhelmed by this super busy time of year, as well as sharing a little about what’s in our comprehensive entertaining e book “Celebrate”, now available for just $9. 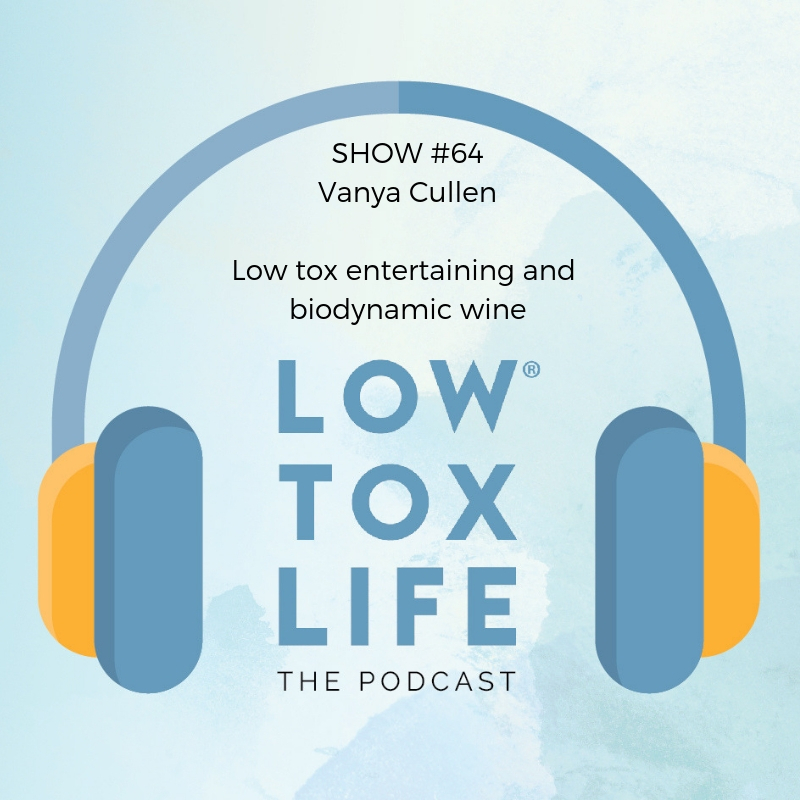 I then invite a wonderful, passionate biodynamic wine maker onto the show, Vanya Cullen of Cullen Wines, WA to discuss how she and many other grape growers are starting to see that rather than a hindrance and ‘pain’ growing biodynamic, it’s actually proven a commercial and ecological triumph to do so. It’s one of the best explanations of biodynamics I’ve heard and she’s invited us all to visit the winery in the Margaret River – group excursion? She shares her family’s “why”, a deep insight into biodynamic farming, and also a look at varietals and food matching – what’s not to love as we head into December, right? Enjoy the show! Be conscious about what you say “yes” to at this time of the year, preserving some free time for yourself. In terms of family catch ups, try to stay away from people who drain you and create a little pocket of quiet by taking some time out during these big long lunches or family gatherings. In terms of food, don’t make things complicated and don’t do too much. Entertaining should be everybody’s job – if you’re hosting this year, don’t be afraid to share the feast menu and ask people to contribute by bringing one item each. Everybody will feel good for having made something and you can all thank each other for a great get together. I love serving a celebratory drink called the Celestial Spritz: 1L carafe with 100ml of gin at the bottom, 150ml of freshly pressed apple juice, a few torn kaffir lime leaves, 90ml Elderflower cordial and 60ml of fresh lime juice, add ice all the way to the top of the carafe and fill the rest with soda water. One carafe will serve 4 people. Now onto biodynamic wine. Cullen Wines is a family business which started in 1971 when the first grapes were planted on the property in WA. From low chemical input in the early days, they then moved to organic and now to biodynamic farming which they’ve embraced for the last 20 years. All Cullen Wines are grown on a certified biodynamic, Carbon Neutral and naturally powered estate. Biodynamic is the way people used to farm before using chemicals, it’s all about connections between the soil, the plant and the environment surrounding it. The specific preparation that is used on the property is full of microbiological life. A cow horn is filled with cow manure, then buried into the ground on winter solstice which brings the strongest earthing and water energies. It’s taken out in summer – a teaspoon of this concoction will have billions of microflora. It is then dynamised at a certain time of the month through a series of water vortexes. This amazingly rich substance is then sprayed on the ground. Other similar preparations are used as tonics for the vines. The beauty of biodynamic is that it renders the plant so healthy that pests and diseases are pretty much non-existent. When tasting Cullen wines you will sense the aliveness and completeness of a wine that is biodynamic, with no addition of acid or yeast. Grapes are harvested by hand on fruit and flower days according to the astrological calendar as the influence of the moon and planets impacts the quality of the wine. Cullen Wines make Chardonnay, Sauvignon Blanc Semillon, Sauvignon Blanc, and at their Mangan Estate next door they also produce Merlot-Malbec-Petit Verdot and Cabernet Sauvignon Merlot wines. For more entertaining tips, check out my new Low Tox entertaining eBook CELEBRATE. GRAB IT HERE with your code lowtoxsub for only $9. We cover every aspect of low tox entertaining from food to drinks, reducing waste, making your own Christmas crackers, etc. in 113 pages. You can find out more about Cullen Wines and purchase online HERE. Vanya mentions a biodynamic calendar and moon planting guide – HERE. OOOops sorry about the spelling……. Ok so I am a few weeks behind…but I caught up on this podcast today and LOVED it. 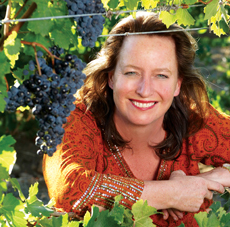 I visited the Cullen cellar door last year and I had the best experience – the girl I spoke to was gorgeous, knowledgable, passionate, enthusiastic. I learnt so much and was in awe this kind of biodynamic winery existed. I ordered a case and vowed to go back to try the restaurant next time I venture to WA.